Beautycouture.ie is an online women's magazine filled with the latest beauty & fashion stories, celeb gossip, competition & features! We're 100% Irish & independent! Yournailsmag.com is all about nails! From step by steps how to create stunning nail designs, secrets of nail extension techniques, interesting articles that can help your business, biography of famous nail stylists, newest trends in nail art, galleries full of ideas to competitions with tempting prizes! Pick up a copy today! Stylefish.ie is Ireland’s best dedicated fashion and beauty school teaching a seven week Style & Beauty Programme for women throughout Ireland. We are big fans here in Beautycouture.ie HQ. Why? Because not only are Style Fish courses huge fun, but they are full of super-amazing tips and tricks to help transform your style and beauty for the better. French Beauty Day Spa is situated in the heart of Dublin, just a minute's walk from Dame Street, close to restaurants and elegant shops. It is the perfect destination for a mini overhaul between meetings, or for a pampering session before dinner. it's an oasis in the centre of town where you can escape, and emerge transformed ! Weddingdates.ie/blog is the #1 wedding blog in Ireland, updated daily with hints and advice on your big day, real weddings profiled and regular competitions. If you are planning your wedding in Ireland, then check it out! Check out OnOffer.ie for beauty salon special offers and hair & beauty deals throughout Ireland. Get exclusive special offers like free manicures and free pedicures and enter the many free competitions to win holidays, weekends away, beauty treatments and much, much more. Share your beauty tips and local deals in our free members forum and earn exclusive reward offers. The Makeup Boutique is Ireland’s newest, super fab, online cosmetic store. Packed with the latest brands such as; Benefit, MAC, Lancôme, Clinique and much more, the shop is an Aladdin’s cave of beauty goodies and the best part is, its 100% Irish! The e-store offers free shipping to all 32 counties as well as free gift wrapping. Plus all customers receive a 10% discount off their first order! Ultralase Ireland are the specialists in correcting vision. With clinics in Dublin, Cork, Limerick and Waterford, their Ultra Elite treatment is more precise and accurate than anything else out there, enhancing the eye's natural ability, giving patients the best possible vision quality. 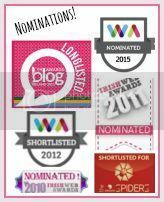 Bright & Beautyfull is a fab irish blog packed with amazing beauty musings and reviews from author and feature writer (and former beautycouture.ie interviewee) Sue Conley. Check it out!